Those who have inspired me the most share a few similar characteristics. They’re great writers and communicators who have a vision for the future and want more people in it with them. Written by Adam on August 31, 2017. Updated April 24, 2019. 7 min read. Personal, Mindfulness. Leave a comment. I’m always curious who motivates people. Not just the what, but the who. Mentioning inspirations feels much more intimate than sharing a “why” to me; mostly due to the depth of the inspiration I feel from people on this list. I wanted to take a bit of space here to list out some of the inspirations that drive me and help shape my vision on the world with their words and actions. From the moment I watched Inventing on Principle and read Learnable Programming, I was hooked. I’ve watched everything Victor’s published and devoured all written works I could find. I suspect my speaking style at some conferences is even shaped by his delivery due to re-watching some of his talks. Victor’s primary passion, as I interpret it, is using technology to tell stories that affect people – and helping/inspiring creators to create those stories. Hearing him talk, I feel like I can envision the future he describes, where everyone can become a creator of (currently) complex experiences. My interest in his work came in the form of teaching people to code using memorable ways, like Try jQuery and Blasting off with Bootstrap, two courses I worked on that drew heavily on inspirations from Victor. My upcoming interactive post here on Minafi (which I’ll be releasing on labor day!) is heavily influenced by Victor’s work. As a self-improvement and productivity writer, Trapani is one of the leaders of the movement. As the creator of Life Hacker, I would look forward to her new strategies and techniques for working smarter. What stands out to me now is that it wasn’t any individual technique that stuck with me, but a constant growth mindset that there were always ways of looking at a problem differently. It’s hard to believe it was a decade ago I started reading Leo’s blog, Zen Habits. Mixed in Google Reader with programming blogs, Zen Habits was a refreshing dose of inspiration and humility that I came to look forward to more than any other in my feed. When Google Reader was discontinued, I stopped reading most blogs and switched to Reddit. I since moved back to reading via Feedly and I never forgot the way reading Zen Habits gave me energy and inspired me. That’s the feeling I want to learn to evoke in people who read my writing – but developing that voice will take practice and writing. Before I changed from a programmer to a product manager, I had consumed every blog post, technical talk, and book Sierra ever wrote. Her writing in Creating Passionate Users was one that started helping me understand how to better empathize with people I’ve never met. Beyond just being a great teacher, her teaching style blew me out of the water with its alternate styles – switching from text to graphics, to conversations to games. Her Head First Design Pattern book ranks as one of the most influential I’ve ever read and recommend to all new programmers. This is Water ranks as a life-changing book for me. It was the book that few drove me down the path of awareness and mindfulness. This simple analogy and the investigation into the concept was enough to hook me in and be a little more aware than I was before. The idea that every moment of every day is The Work towards being happy makes so much sense that having someone voice it felt like an obvious truth. I still haven’t read his most popular work, Infinite Jest, but it’s on my list. Sivers has a knack for sharing huge thoughts in short blog posts (something I struggle with). While Gina Trapani inspired me to create systems to order my life; Sivers writings, books, and TED Talks spur me to action. Sivers writing also feels so much more open and transparent than most. He writes from a place of vulnerability but without embarrassment – and I respect him more with each story. This mix of gratitude, empathy, and action is unusual, but somehow finds a balance that I strive for in my own life. There are countless others who I respect and have inspired me in the real world who are not on this list. The number of those who have inspired me in person is too large to count, but these 6 people share a special place in inspiring and motivating me. Marcus Aurelius (who I chose to omit from this list to limit it to only the living) has a quote that seems spot on. I strive to learn and be inspired fbythese wonderful people, but more than anything I want to channel that inspiration into things I can be proud of and that can inspire others. There are a few things in common for this list. For one, they are all great writers. They effectively communicate and motivate through their words, with actions to support their opinions. On top of that, each of these people inspired me in a radically different way. Victor in foreseeing the future, Wallace in being aware of the present, Leo in appreciating what I have, Sierra in empathizing with others and Sivers for executing on what drives me. Another theme for these people is that that they don’t talk about making money – only losing it in the case of Sivers. Their main focus is on growing people and making them better, as opposed to having people make more money. 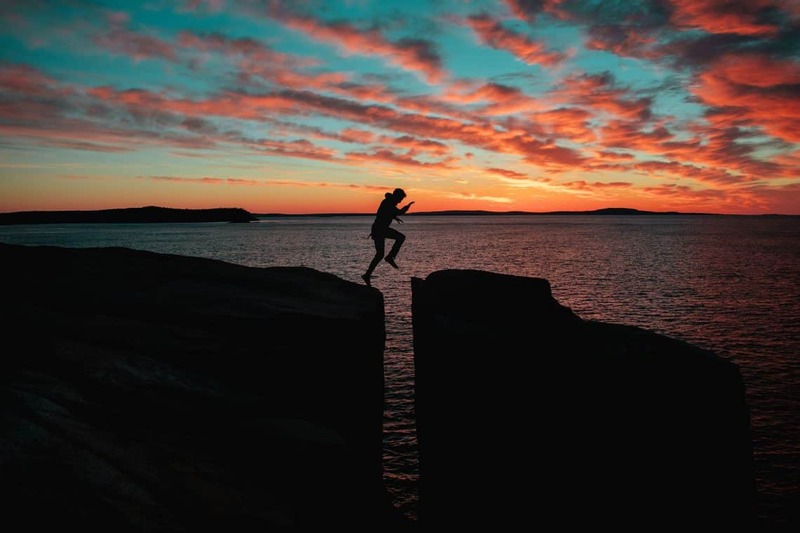 That has translated into a slightly different focus for this blog than many other financial blogs – where I see my writing leanings towards living a balanced life, rather than focusing on money. There’s a good place for both (and I read many), but what motivates me the most is finding out how to get the big picture across. More than anything, when I read the writings of each of these people, I feel like they are on a mission. Their main goal feels like it is to make ME improve. They want to share their vision for the future and have more people in it with them. The invitation to join and grow is a call to action I want to follow.